A second-hand Christmas is as good as new! Second-hand bookshops may not be everyone’s first port of call for Christmas gifts, but there are all sorts of things to be found here. We often have books in excellent condition, and personally I’m always happy to receive second-hand books even if they are a bit rough round the edges. Lots of books are no longer in print, and it’s a lovely way to spend an hour or two, browsing the shelves and finding unexpected treasures and pleasures. A paperback book makes a great stocking filler, and they are inexpensive enough for children to spend their pocket money on if they are looking to buy gifts for parents or other relatives and friends. 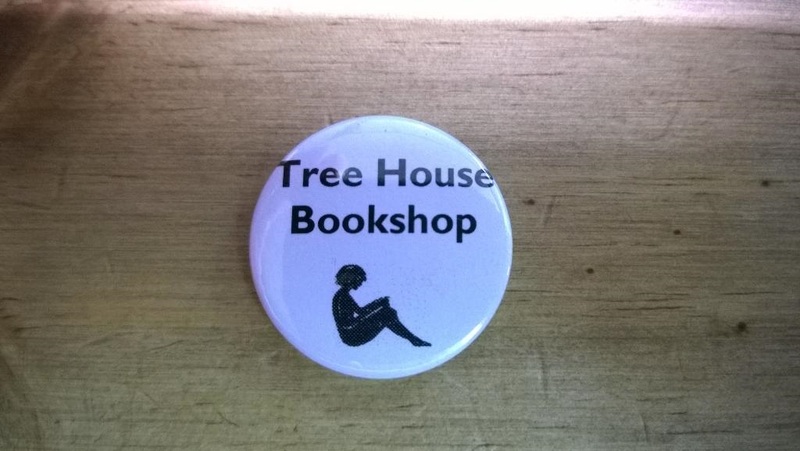 As do our badges – we now have some Christmas-themed ones as well as our own Tree House ones and other literary inspirations, and we can customise them to order as long as what you want fits into a 25mm diameter circle! They are just 50p. You could also buy someone a Tree House voucher, to any amount you like. These can be redeemed against books or films (but not our other events, which have to be carefully budgeted). You could also, if you want to pay a bit more, subscribe someone to our Mail Order Book Club or local membership (whereby you pay a certain amount each month and get a voucher to that amount to spend on books). The Mail Order club involves getting surprise books in the post each month – what larks, Pip! So do think about us when you’re doing your Christmas shopping. 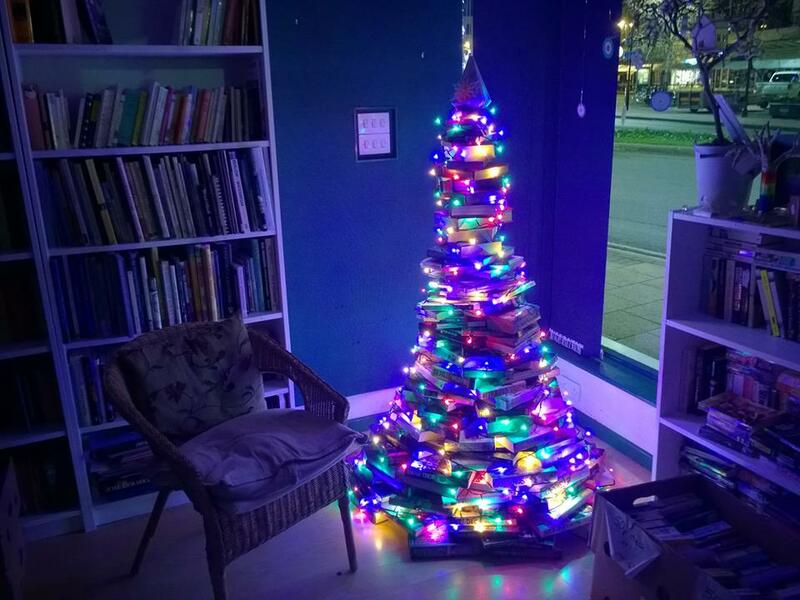 We are currently open Monday to Saturday, and will be open late on Friday 27th November for the Warwick Road Christmas lights switch-on – there may be a few crafts on sale then and the urn will be steaming away, with a few edible treats as well no doubt. …now that I’m a retailer I understand why Christmas starts to appear earlier than seems necessary! And it is only 45 days away…it’s not as though I’m mentioning it in September or anything. 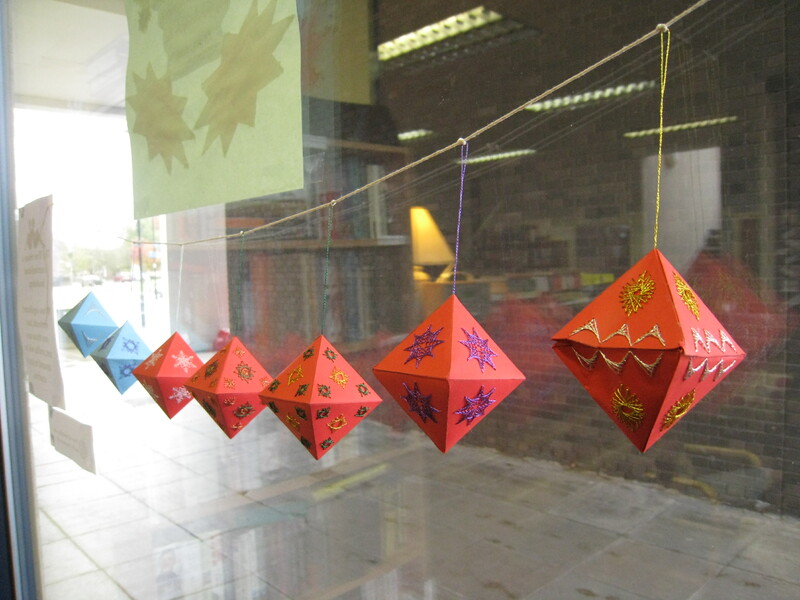 And all I want to do is tell you about a craft session that’s happening at the Tree House on Saturday 7 December (when Christmas will only be two and a half weeks away!). 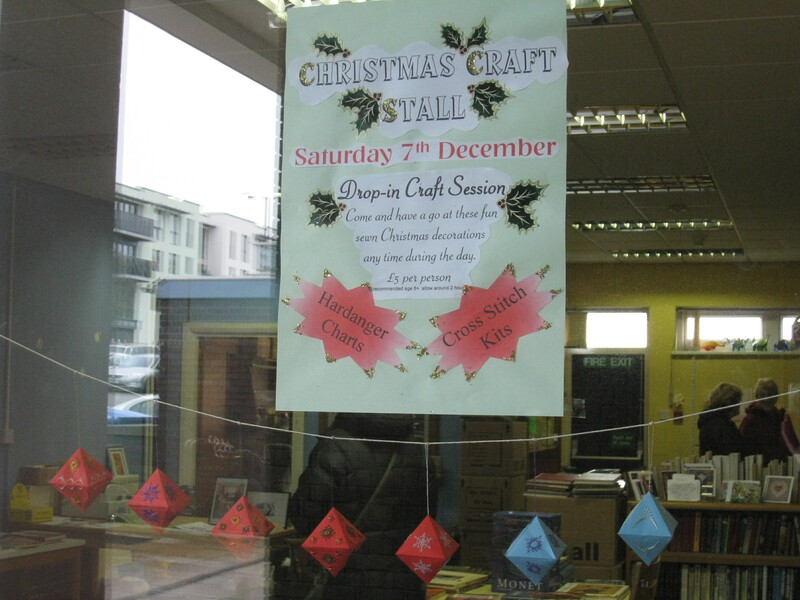 Embroiderer extraordinaire Vicki Mansfield will be offering the chance to make embroidered Christmas decorations, as well as selling her own embroidery charts and cross stitch kits. She specialises in a wonderful and intricate form of embroidery called hardanger, but the decorations are quite simple to make – though she suggests an age of 8+ because of the level of concentration and skill required. The sessions are £5, and will last about two hours – you can just drop in on the day from 10am.